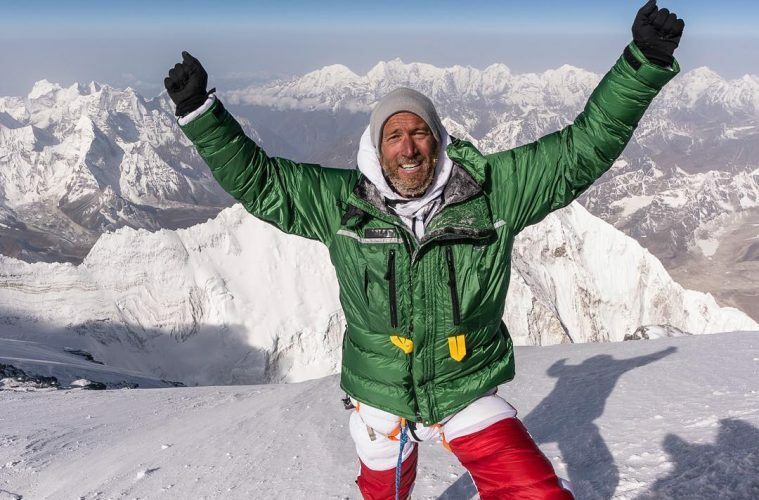 Many in the outdoor community had been waiting for days to hear an update on Ben Fogle’s attempt to summit Mount Everest (8,848m), and it eventually came yesterday (16 May) as news broke that he had made it to the top. Of course, coming down is often more dangerous than going up, and there was a nervous wait as people listened out to hear for Ben’s safe return to the lower reaches of the mountain. That news has now come, however, with several posts appearing on his Instagram profile. In his first post, which you can see in full below, Ben said: “Sorry for the radio silence. I have been on Mount Everest for the last eight days in our final bid to summit. “It has been quite an adventure. Nearly entirely as expected. We have been stuck in major storms and hit by some technical equipment failure. We were battered by a mighty storm at 8,000m which threatened to shred our tent and we have been humbled by Mother Nature. Sorry for the radio silence. I have been on Mount Everest for the last 8 days in our final bid to summit. It has been quite an adventure. Never entirely as expected. We have been stuck in major storms and hit by some technical equipment failure. We were battered by a mighty storm at 8000m which threatened to shred our tent and we have been humbled by Mother Nature. 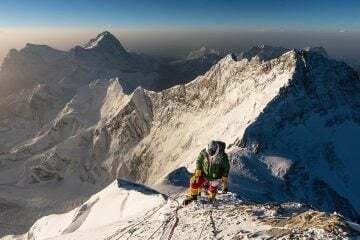 When I set out on this expedition, it was always with clarity and honesty that success was never guaranteed, indeed I always put personal welfare above any summit ego. This whole Everest expedition has been such an incredible adventure. It is almost impossible to surmise what the last five weeks have been like here in the high Himalayas. The Nepalese Sherpas have been one of the highlights. Their eyes twinkle with such beauty. Indeed in many ways it has been their beautiful spirit that has kept my own spirits when they have been battled by physical and mental challenges. I never thought climbing Everest was going to be easy, indeed it has tested me in ways other Expeditions haven’t. 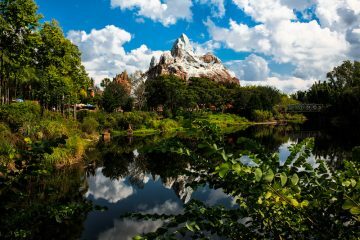 Success and Failure have become constant bedfellows…….. 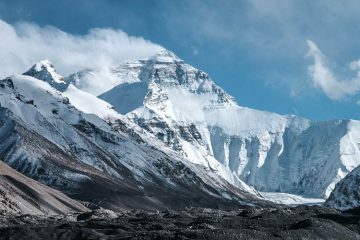 Along with his guide, Kenton Cool, and a team of Sherpas, Ben summited at 7.30am on 16 May after more than five weeks of acclimatisation and training on Everest. Former Olympic cyclist Victoria Pendleton was a big part of the team for much of the expedition, but unfortunately had to withdraw due to difficulties adapting to the altitude on one of the acclimatisation rotations. He went on to pay tribute to the rest of his team, including Kenton Cool, Mark Fisher (who is documenting the expedition for a CNN documentary) and some of the Sherpa team. “Particular thanks must go to Kam Dorjee Sherpa, Ming Dorjee Sherpa and Ang Thindu Sherpa. They are not in the photo for an astonishing reason that will become apparent in the coming days,” Ben wrote. 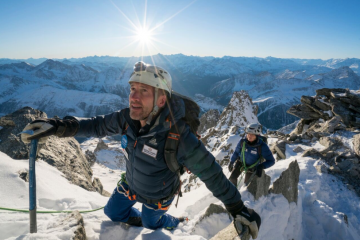 Remarkably, Ben, who told us about his motivation to climb Everest earlier this year, managed to film a short video whilst stood on top of the world. Visibly short of breath, he thanks all that have supported him and wished him well, and you can see the full video below. Ben will now start his journey back to his family. For further updates, or to relive his experiences of the past two months, check out his Instagram account.